We only use energy efficient LED lighting, we recycle your old incandescent lighting for free and we're the only decorating company in the US that is committed to offsetting the carbon footprint of your display every year - at no cost to you. We have partnered with TerraPass to create extreme light shows with a Carbon Balanced footprint. We believe in preserving the environment and in giving back what we take from mother nature. Holiday displays can be designed to be very eco-friendly through the use of recycled materials and LED lighting in place of traditional incandescent. Whenever possible we design your display around the most environmentally friendly materials available, we’ll recycle your old incandescent light strings and we offset the carbon footprint of your display – all at no charge to you. LED lighting is the absolute best way to ensure your display takes as little from mother nature as possible. Advances in LED technology have made it possible to not only match the look of traditional incandescent lighting, but to create effects that are not possible in the incandescent landscape. Not to mention that LED lighting is nearly indestructible, lasts for years longer than traditional lighting and utilizes as much as 10 times or more less energy! We also know that even with the most environmentally friendly design there will still be some level of carbon consumption. With this in mind, Extreme Lightscapes is one of the only lighting companies in the United States and the only company in the Southwest to provide Christmas light installation carbon balancing on behalf of every customer we serve and at no cost to you. We have partnered with TerraPass to offset the carbon footprint for every display we build, every year. TerraPass is a social enterprise that provides carbon offsetting products to individuals and businesses. Headquartered in San Francisco, California, TerraPass uses proceeds from member purchases to fund greenhouse gas reduction projects such as wind farms and methane digesters. TerraPass works directly with project developers to validate the greenhouse gas reductions against the Voluntary Carbon Standard, a leading offset standard. 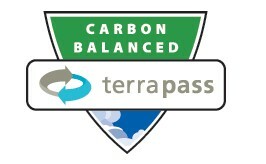 All of the RECs TerraPass purchases are Green-e certified through the Center for Resource Solutions. To learn more about how we can help you create a unique event! Shop for Christmas lights and decorations at The Christmas Light Emporium, 0ur retail outlet for serious Christmas decorators. (c)2019 Extreme Lightscapes, LLC dba Lumyn Immersive Media. All Rights Reserved.